Handrail sections for stairs and landings. 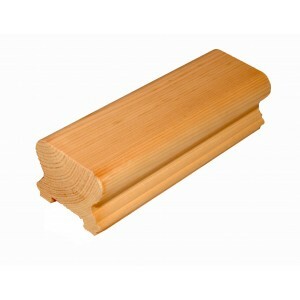 Lengths of timber handrails for balustrade that can be used with modern metal spindles or glass panels. 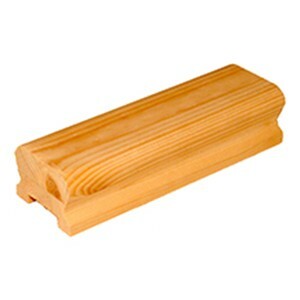 Allowing you to mix traditional timber stair parts with modern elements. Our handrails are available in a choice of profile, including low profile, deep profile and our special Pear Stairs profile. All these handrail profiles can be produced in a choice of six lengths and a choice of different softwoods and hardwoods. 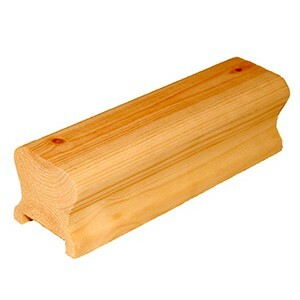 They are also available with a choice of no slots so they can be used with metal spindles or with glass panels.